Wisdom teeth that only partially emerge or come in crooked positions, can also lead to painful crowding and disease. Because teeth removed before age 20 have less developed roots and fewer complications, it is recommended that people between 16 and 19 have their wisdom teeth evaluated to see if they need to be removed. 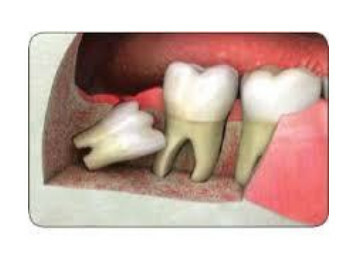 The wisdom teeth, also known as the third molars, are the final set of molars to erupt. Not everyone keeps these teeth, nor are they necessary for having a healthy, beautiful smile. In fact, they can cause harm if they do not come in properly. When these molars come in, usually between the ages of 16 and 20, there may not be enough room left for them to erupt. As a result, they can emerge at an angle, they may crowd the mouth and sometimes they don’t fully emerge. This can lead to future oral health problems like infections and pain. If necessary, a dentist or an oral surgeon can remove the final molars in a single outpatient procedure. Tooth extraction is a form of major surgery. Local anesthesia options are used to make wisdom teeth removal, a more comfortable procedure, pain and discomfort are a part of the process, especially after the anesthesia wears off. After your teeth are pulled, wisdom teeth recovery time begins.